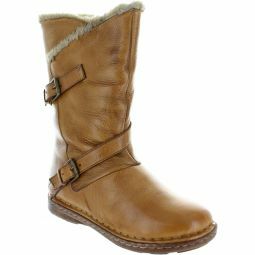 Featuring fantastic buckle and strap detail upon a flattering slouched leather upper. Warm faux shearling textile trim. 30cm (12 inch) high. An essential style for winter.